I was asked today what sights, sounds or scents were evocative of the place which I thought of as the most special place of all. Its something I’ve often given a lot of thought to since I came here as a teenager, oh so many years ago. Yet, after all this time it is a relatively easy question to answer. This is my home now. It will always be my home. I have lived here longer than ever I was in the country of my birth and my family are here. How could anywhere else be home? Yet for all that, my “soul home”, the place where I belong, is still in England. There is something there which, whilst I love Australia and will never leave here, still draws me to those “unquiet shores”. So what are those memory triggers which send me back to the land of my birth? 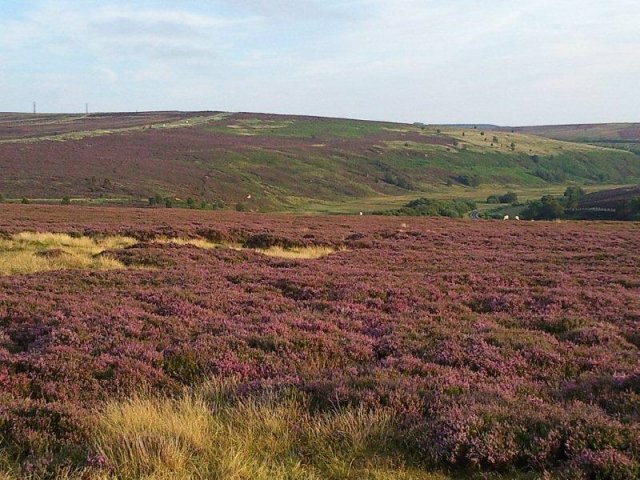 The sight of the heather in full bloom, such a rich deep purple, and so high that when you lay down you are surrounded by a thick prickly carpet of purple flowers. Surrounded by the sounds of birdsong, the rustle in the heather as my dog burrows his way through, and the sight of those lazy cotton ball clouds floating serenely across the eggshell blue sky. Then there was my favorite ‘go to ‘place during the spring, when the trees where budding and their leaves just unfurling. The oaks were my favorite. There was a place, Chelodean, a reservoir where during the second world war anti aircraft batteries were built. They had been boarded and blocked up for years, but they were still there and you could see the external walls. permanent reminder of days gone by. Best of all was the carpet of bluebells under the trees. Perhaps one of the greatest memory triggers is seeing a Border Collie. I had a beautiful dog, my best friend, who followed me on my ramblings every day. He would scrabble through the heather or chase the butterflies through the bluebells, but he never chased the rabbits, although he looked longingly at them from time to time. So, in many ways there is no simple way to explain what the sights, sounds or scents were, since they were all a jumble of the burgeoning spring days after the cold and bleak winters. Although, after saying that I did enjoy my winter wonderland, despite its cold winds and wet feet. Perhaps that’s the benefit of looking back, we see the happy memories and replay the happy scenes. Yet for all that I will remember the heather prickling into my back under the clouds and the smell of crushed bluebells under me and their gentle heads nodding in the soft breeze.